An idea submission program can support the four basic use cases of employee driven innovation (vs. continuous improvement of existing job responsibilities) categorized by the intersection of the key defining parameters; the inspiration for the idea submission in the first place and the ongoing intentions of the submitter. In general, an idea can be submitted in an unsolicited fashion, on the volition of the submitter alone (PUSH) or it can be submitted as a response to a specific challenge or campaign by an executive sponsor with both the responsibility and authority (funding) for change in a given area, whether broad or narrow (PULL). The intention of the submitter varies according to the degree he or she desires to be involved with the actual implementation of their idea after it has been submitted and reviewed, either own or part time or full time. The four idea submission program use cases are discussed below with light-hearted references to Bible stories, Release 1 & 2 (Btw, please don’t worry; I’m wearing rubber soles as an anti-lightning precaution). In each case, the idea is depicted as a ‘baby’, the submitter as its mother, the obstacle that lies between ideas and implementation as a body of water that must be crossed, and finally the idea submission program as the vehicle to help cross the obstacle to the promised land. In each case, it is important to remember that no idea/baby is born beautiful, except perhaps in the eyes of its parents. An idea submission program can support the Suggestion Box use case or ‘unsolicited ideas from submitters not interested in necessarily working on their suggestion full time’, for which one can devise a plethora of follow-up processes (e.g. forwarding the top ideas in each supported category to points of contact or experts in corresponding business units), but this use case will always remain challenging for reasons explained below. 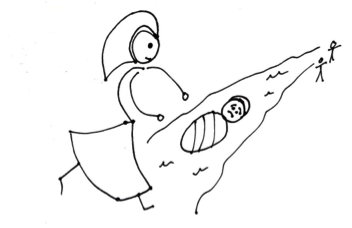 I dub this use case the ‘Baby Moses Plan’ (technically ‘The Jochebed (Moses’ mother) and Baby Moses Plan’) because the submitter is essentially using the idea program to float his or her idea down an imaginary river hoping to find some adopted parents downstream. The thing is that baby Moses was extremely lucky to find parents. 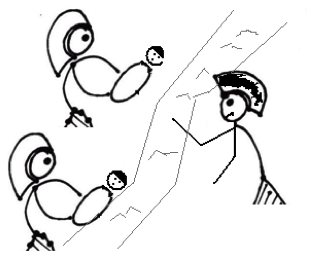 For the most part, most babies will float down the allegorical river and never find adopted parents for three fundamental reasons: 1) There is an oversupply of babies vs. adoptive parents (and so the babies need someone to fight for them) 2) Adoptive parents usually want to know where the baby came from and 3) Adoptive parents can choose instead to clone (copy) the baby (or have one of their own) without having to bother with adoption. 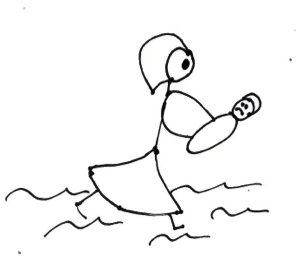 The result is a lot of disappointed Jochebeds (and lost babies), although the program managers can of course try to steer the hopeful Moses baskets to promising shores. An idea submission program can support the Solution Crowdsourcing use case or ‘ideas solicited as part of a problem or challenge, but where sponsors are not particularly looking for submitters to participate in implementation’, e.g. a logo/product name contest, use cases for a new technology, a superior recommendation algorithm, etc. I dub this use case the ‘Jacob Baby Wars Plan’ because the submitters (Leah and Rachel in the bible story) are mainly trying to please (win the love of) the ‘father’, Jacob by having serial babies (12 in total), including enlisting their servants as surrogate mothers. In this use case, there is a sponsor that has a clear problem or opportunity he/she is trying to solve or address and asks for solutions from ‘the crowd’ (often composed of relative amateurs, at least in the sponsors’ field of expertise) in search of creative solutions by considering different perspectives. This use case is promising in theory but hard to achieve in practice since there is an art to drafting problem statements that properly solicit valuable input from the crowd (method used by innovation brokers such as Innocentive & NineSigma). Innovation managers that support this use case can try and partner with various business units (BU’s) to explore the power of crowdsourcing to address challenges using spare cycles of employee time (own/part), but it will require some training on how to properly draft problem statements. An idea submission program can support the Collective Entrepreneurship use case or ‘ideas solicited as part of a challenge and where sponsors are in principle looking for submitters to participate in accompanying implementation activities’, e.g. a search for a new internal venture. 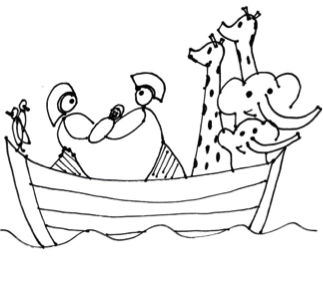 I dub this use case the ‘Noah’s Ark Plan’ because the submitters and the sponsors are all the proverbial ‘same boat’ (along with some other creatures) in enduring an acknowledged rough storm. In this use case, it is assumed that submitters have a healthy attitude for partnering with others in the company and are humble about their contributions given a greater cause of dire importance (we don’t even know the name of Noah’s wife in the bible). This use case is often tantamount to pursuing large, complex opportunities requiring a concerted top and down partnering effort and significant levels of investment commitment. At Qualcomm this was supported through the Venture Fest competition, i.e. employee submissions as integral to innovation strategy (vs. insurance) and increased opportunities for full-time job transitions). An idea submission program can technically support the Intra/entrepreneurship use case or ‘unsolicited ideas from submitters interested in working on their idea full time’, but there is often a poor match if the focus of the program is ‘spin-in’ vs. explicitly encouraging ‘spin-outs’. In general, an idea management system is meant to match employee submitters with like-minded peers and potential executive sponsors with strategic needs, not simply a place to win a prize to further a desire for independence (as in external business plan competitions). I mockingly dub this use case the ‘The JC Walk on Water Plan’ because very few people successfully pull this off (i.e. succeed despite the system instead of because of the system). I’ve only seen a very small number of these submitters anyways, because by definition, they are typically not looking for a platform to assist with skill development, information sharing and matching their ideas with company needs, but instead focused on going it alone, failing to comprehend or accept intra/entrepreneurship as a team sport. When I do see some of these individuals, the end results have not been positive, unless they first tried to keep the collective good in mind by partnering with peers and target executive sponsors and later, when it was determined that the best path to market is through some form of external or skunk-works arrangement, they genially switched to a more classical entrepreneurial M.O. When looking to design or improve your employee idea submission program, think about the inspiration vs. intention matrix presented above. Either model can work if designed properly and executed within the appropriate corporate culture. Don’t expect results of biblical proportions unless there’s top executive commitment – and if you want to go where only eagles dare, try the Collective Entrepreneurship quadrant – no one has really embarked to this path – perhaps it will take a new flood.